MPs have renewed calls on the British government to introduce a statue of limitations to protect British war veterans from prosecution following conflicts. 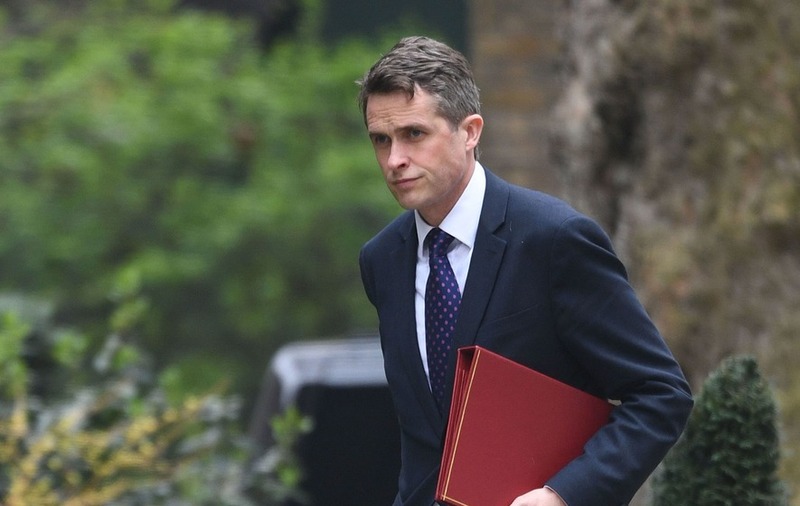 More than 50 Tory and DUP MPs, along with Defence Secretary Gavin Williamson, listened in as Leo Docherty urged the government to take action. The Tory MP said that veterans needed to be able to get on with their lives "without the constant fear of that knock on the door". Mr Docherty's intervention follows a vociferous campaign by backbench MPs for a statute of limitations to end what they claim is a "witch hunt" against members of the armed forces. Prime Minister Theresa May has previously said the treatment of Northern Ireland veterans was unfair while former Director of Public Prosecutions (DPP) Barra McGrory said soldiers were not treated unfairly. Mr Docherty said: "Soldiers and veterans do not wish or seek to be above the law, they just seek natural justice and we must allow veterans to get on with their lives without the constant fear of that knock on the door and legal pursuit." Mr Docherty told MPs that the "intrusion of European Convention on Human Rights" had "set the scene for the legal scandal" that has dogged veterans as he called for urgent reform. He added: "It is a matter of national security because how on earth can we deploy military force abroad with resolve if we are in any way doubtful about the fact that subsequent to that military action taking place the Government will be challenged legally and individuals serving on those operations will face legal pursuit?" Former defence minister Mark Francois, intervening, said that the Conservative Party was "morally obliged" to introduce a statute of limitations as it formed part of the 2017 manifesto. Defence Minister Mark Lancaster paid tribute to Mr Docherty for securing the debate, setting out that a consultation in regard to the Troubles was currently under way. He added: "I can reassure the House that the government is committed to listening to all contributions carefully before deciding the next steps." Mr Lancaster added: "No-one wants to see prolonged or repeated investigations over many years into the same incident."